Panasonic has just unveiled the new Lumix DMC-GF6 compact interchangeable camera which comes as an update to the GX5.The company has added a few notable improvement such as a wireless connectivity, mode dial and a 180 degree tilting screen.The new 16 megapixel interchangeable lens camera is capable of recording 1080/60p full HD movies and 3.7 frames per second(fps). 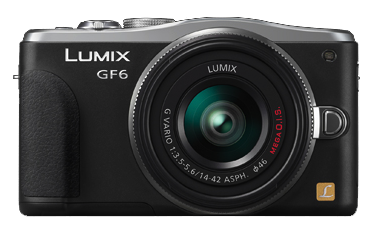 Besides a normal wireless image transfer, the new GF6 comes with a remote shooting capabilities of both video and photos which is controlled with a smartphone or tablet through the Panasonic image App. 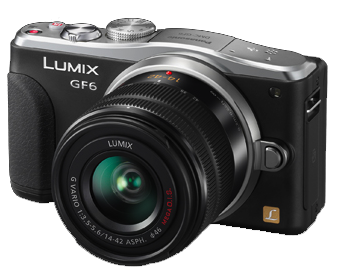 The GF6 also comes with a few internal upgrades especially to its auto focus system and although given the 3.7 fps, which looks a step backwards from the 4.0 frames per second on the GF5, it offers a 1/3 increase in pixel count.